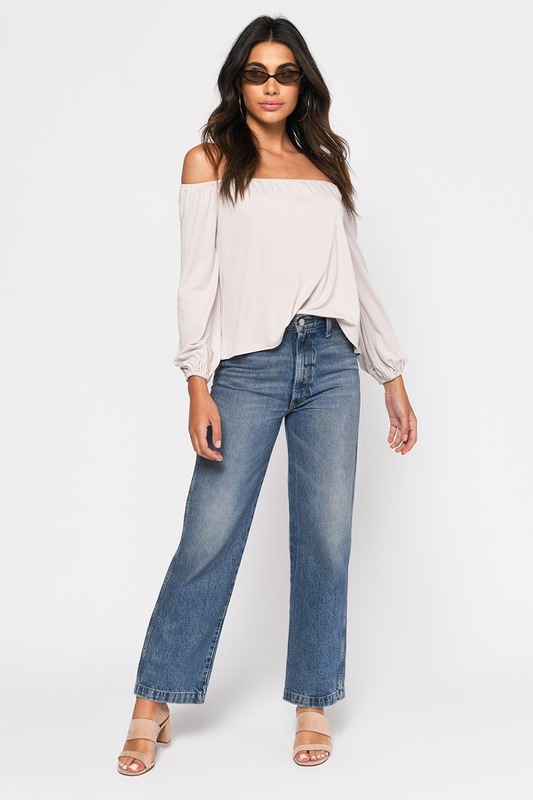 Check out Tobi's Miranda Off Off Shoulder Blouse Nothing says boho more than a flowy off the shoulder top. The Miranda Off Shoulder Black Top will add a flowy silhouette to any outfit. Featuring long flowy sleeves, take this solid relaxed top out with distressed shorts and a boho necklace for a chic outdoor coffee date 'fit. Nothing says boho more than a flowy off the shoulder top. The Miranda Off Shoulder Black Top will add a flowy silhouette to any outfit. Featuring long flowy sleeves, take this solid relaxed top out with distressed shorts and a boho necklace for a chic outdoor coffee date 'fit. Nothing says boho more than a flowy off the shoulder top. 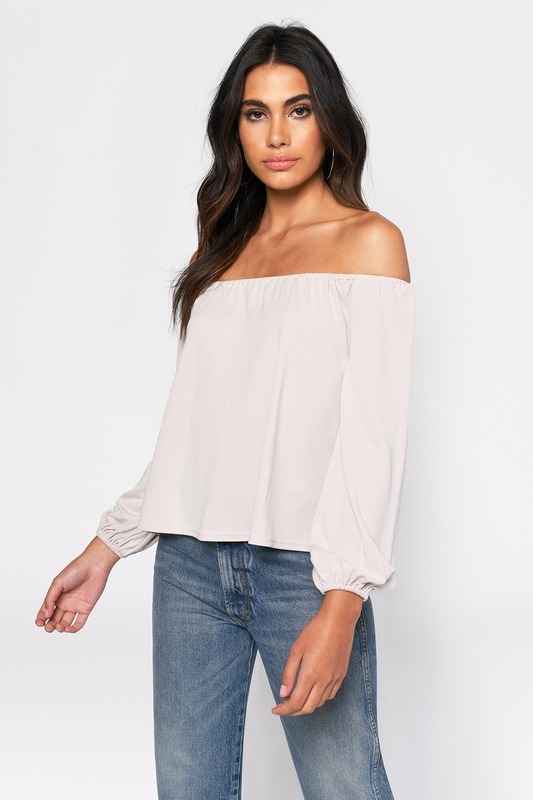 The Miranda Off Shoulder Stone Top will add a flowy silhouette to any outfit. Featuring long flowy sleeves, take this solid relaxed top out with distressed shorts and a boho necklace for a chic outdoor coffee date 'fit.